It happens most of the time while I am serving a wine to the new world tourists. They always ask me what the different ? Is Docg better than Doc ? 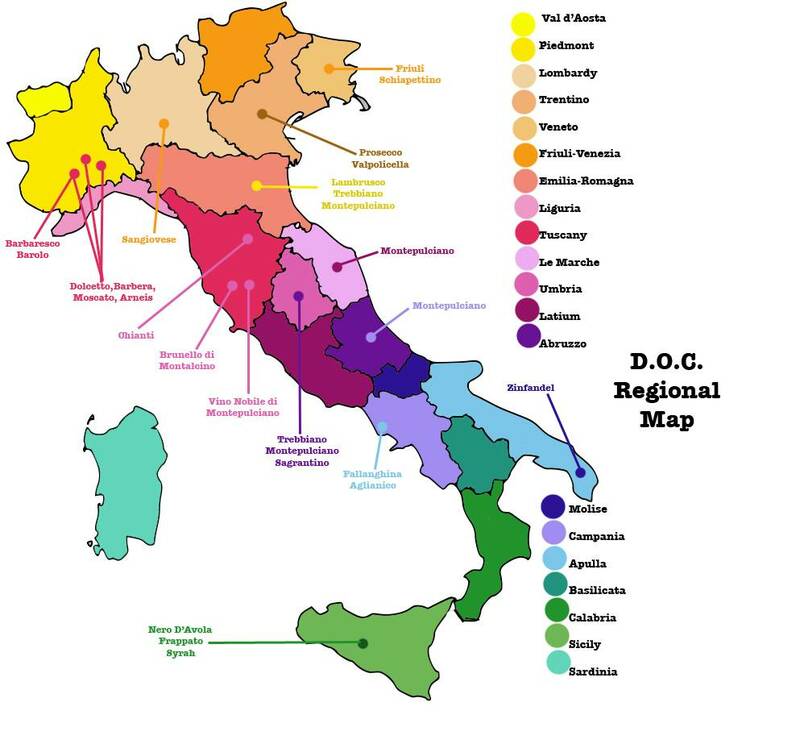 So lets try to answer this two questions by trying to explain first what is Doc (denominazione di origine controllata) “denomination of controlled origin” that comes from french style of classification the wine Aoc that literally means the same thing. This classification was made to designate wine quality by using geographical delimitation based on winemaking zones with particular names. Example: Rosso di Montalcino Doc, this wine is made from grapes that only and only come from Montalcino area. In the 1960s, Italy attempted to replicate the structure and design of the French AOC. They even took it a step further. Not only did they enact the DOC but they also added another acronym to define even higher quality wine by putting a “G” at the end of DOC standing for garantitia or “guaranteed.” This was saved for the most elite wine in Italy, with more restrictions to maintain quality. DOCG wasn’t actually used until 1980 when it was given to the five most revered wine regions in Italy: Barolo, Barbaresco, Chianti, Brunello di Montalcino and Vino Nobile di Montepulciano. Example: Brunello di Montalcino Docg also this wine is made from sangiovese that comes from Montalcino but also is guaranteed. For each area that has the ‘G’ and the wine is made with the same grapes it can be the only one in that area to care the ‘G’ and there are only 73 wines soon 74 and 329 Doc. Drinking a wine that has the acronyms Docg doesn’t mean that is better than Doc it is only another way to classificate the Italian Wine. So, when confronted with an Italian wine list with DOCs and DOCGs scattered about, know that wines with these acronyms adhere, from vintage to vintage, to the same rules. Learn it, live it, love it!